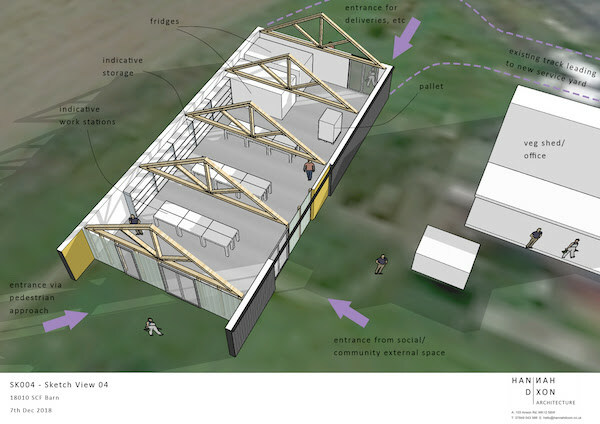 We are pleased to present this update on our barn project, which is currently on track with the actions and timeline communicated at our last Annual Members Meeting in August 2018. Engaged with staff and volunteers to capture detailed requirements and ideas. We have summarised the many ideas and requirements into a one page brief. Visited 3 comparable community food growing projects to get inspiration from their facilities. Short summary here. Conducted a site assessment to decide the best location for the barn. 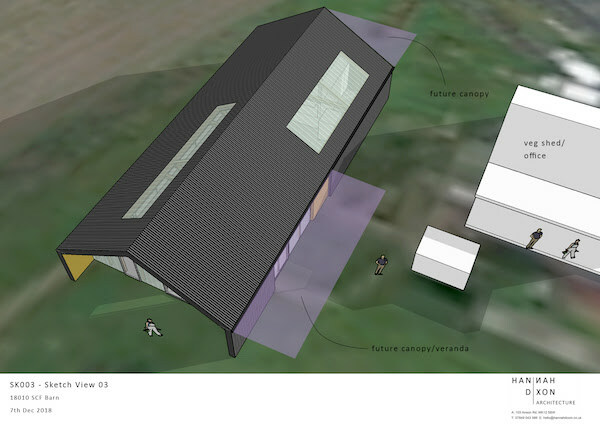 We considered 4 different sites, before deciding on the site to the east of the existing Veg Shed. Developed more accurate cost estimates. 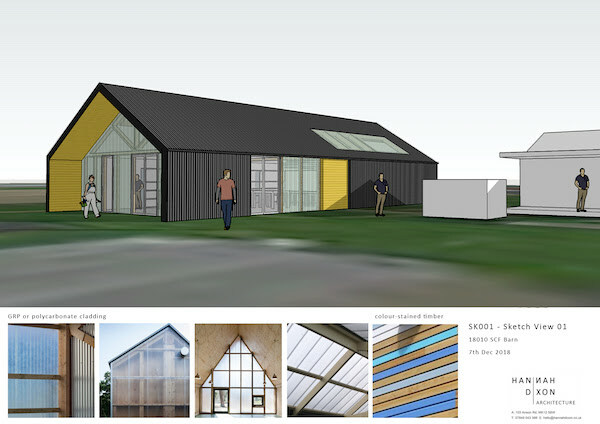 Completed an outline design for our new barn with the support of our architect, Hannah Dixon, shown in the images below. 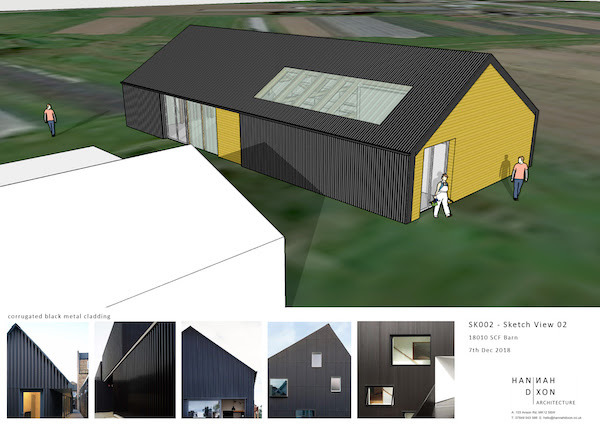 Combination of tin and timber cladding. Tin cladding is durable, agricultural in style, and the simple installation makes it affordable. November 2019: Completion & opening party! This project is being funded by the generous support of our members. We have also received support from The Community Shares Booster Programme, Sutton Community Fund, The Elizabeth Creak Charitable Trust, The Frank Litchfield Charitable Trust and The Rowan Bentall Trust.